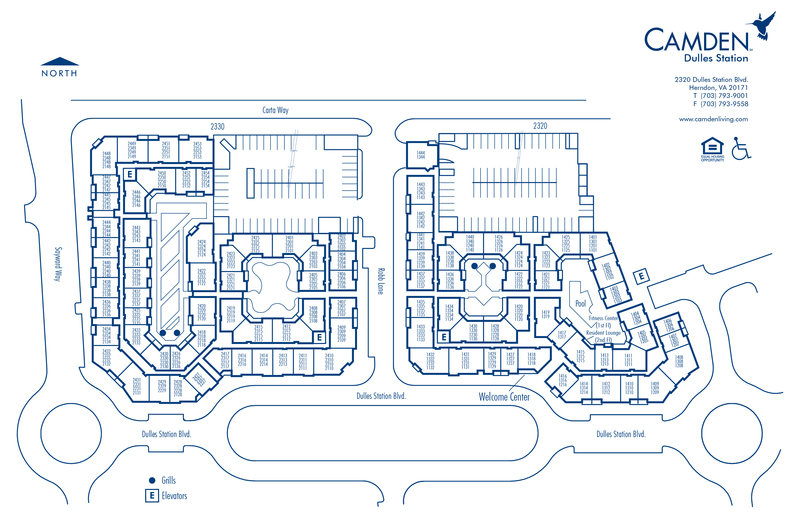 Camden Dulles Station offers one, two and three bedroom apartment homes and lofts located in the heart of the Dulles Technology Corridor and minutes from Dulles International Airport in Herndon, Virginia. Much like Washington, D.C. this Fairfax County suburb features unique beauty and plenty to see and do! Looking for convenience and luxury features – it's all waiting for you at Camden Dulles Station! Our newest remodeled apartments feature beautiful modern deep Kona brown cabinetry, granite countertops, upgraded stainless steel appliances, brushed nickel fixtures, hardwood-style flooring, rainfall showerheads, LED lighting, USB outlets and more. Ready to move into your Camden Dulles Station home today? We have an array of floorplans to meet your needs which feature garden tubs, fireplaces, and a full size washer and dryer in every apartment. Camden is also all about living green, so take advantage of at-your-door trash and recycling pick up. Starting or expanding your business? Tired of your long commute? We have the perfect solution – Live where you work in our live work apartment homes! Our community offers unique live-work spaces that combine your business and residential needs. Our live work apartments include generous space for both needs. We also welcome all residents to use our business center complete with computers and printers. Enjoy your time off by relaxing in one of our beautiful outdoor courtyards, our Zen garden complete with a live Koi pond, or at our resort style swimming pool with WiFi and sun deck. Ready to kick it up a notch? Our expansive fitness studio is open to residents 24/7 and our resident lounge with billiards and theater viewing room is perfect for any party. Dinner is made easy at any of our outdoor dining areas with grills, or just walk up and order at one of the Food Trucks that frequently visit Camden Dulles Station. Your furry friends are welcome to come home to Camden Dulles Station too, and will love a walk through our ample green space and central park area. With convenient access to 267 Toll Road, the Silver Line Metro, Reston Town Center, Dulles Town Center, Dulles International Airport and Washington, D.C. you can enjoy the area’s best dining, shopping and entertainment. Nearby entertainment venues include EagleBank Arena at George Mason University and Wolf-trap National Park. With all this, why would you live anywhere else? Come home to Camden Dulles Station today! We'll save a spot for you! We offer one parking space per leaseholder in our direct access parking Garage. We have ample parking for our residents in our parking Garage on a first-come, first-served basis. There is a designated visitor parking area that is first-come first-served. Additional visitor parking is available in the top level of the parking Garage with guest permit.